This blog was written by Nastasia of Dame Traveler. Nastasia was invited to travel aboard Azamara Club Cruises. It’s no secret that the Mediterranean is one of the most beautiful corners of the earth and it’s no wonder why Mediterranean voyages are among the most popular choices for cruisers. We recently sailed from Nice, France to Athens, Greece on the 9 night Best of Italy & Crete voyage onboard the Azamara Quest and the experience was a photographer’s dream. Read along as I share some of the best photo ops for each destination and some insider tips we discovered along the way. Who would have thought you could go wine tasting in Tuscany while traveling by cruise? Well, we did just that by road tripping from the port of Livorno to the town of Lucca and ending our afternoon with a wine tasting at a local vineyard. This tour was a lovely alternative if you’ve already visited the popular city of Florence. Rome is one of the most incredible cities in the world, rich in history, food, culture, and more. One of the best ways to truly explore Rome (and to escape the crowds) is to get lost in the quiet side streets where you’ll find magical and peaceful corners that make gorgeous photo ops. Campo dei Fiori is a great stop to have lunch, a market where you’ll find flowers, pasta, stylish clothes, cafes and more. 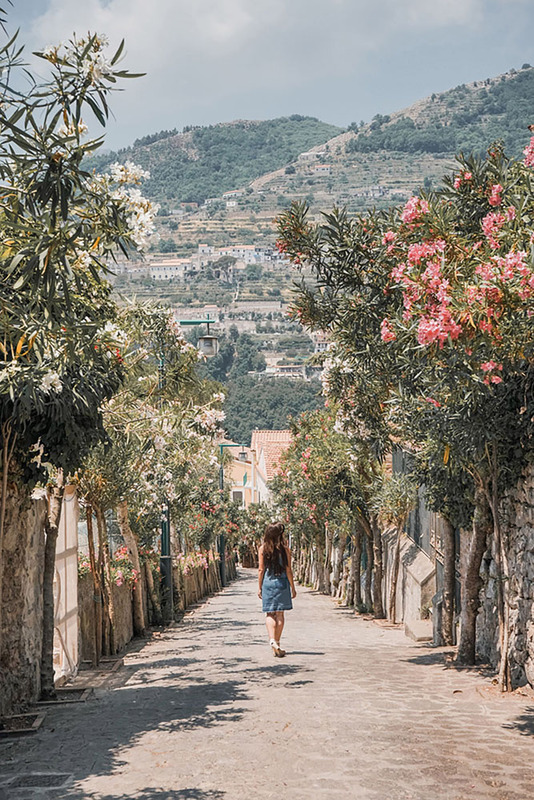 Upon arrival to the Amalfi Coast, there are endless of beautiful towns to visit but one of the most picturesque is definitely the town of Positano. Just a short and scenic ferry boat ride from Sorrento, the town of Positano, featured in many films such as Under the Tuscan Sun, will take your breath away. The town of Amalfi is incredibly special with its small town charm and stunning views of the sea. One of the highlights of the town is the Piazza Duomo. Insider tip: One of the most underrated towns on the coast is Ravello. The peaceful town is a hidden gem with much fewer tourists and stunning views and gardens as it’s perched atop a cliff overlooking the sea. Catania is Sicily’s second largest city and the massive Mount Etna looms over the city. Sunset is the best time to capture the beauty of the volcano and a stroll through the city’s main square, the Piazza del Duomo is the heart of the city where you’ll discover plenty of beauty, churches, and the famous Fountain of the Elephant. Just a short tender boat ride away lies the stunning town of Chania where charming streets, delicious souvlaki, and beautiful locals await your arrival. A visit to the nearby town of Vamos will lead you down a rocky path along the sea where you’ll find a gorgeous chapel on it s own little island. Santorini is considered one of the most photographed Greece islands and for good reason. Walking through this town will have you feeling like you’re walking inside of a painting or a dream. The island is broken up into three main towns: Fira, Imerovigli, and Oia. While all three towns are beautiful, Oia is by far the one with the most photo ops. Head to Oia’s castle for the best viewpoint of the sunset and don’t be afraid to head down the side streets to find gems like the ones below. No trip to Greece is complete without a visit to the historically rich city of Athens. While the Acropolis is a must-see, roaming around the Plaka area, especially around dusk, is a special experience. Insider tip: For the best and most authentic Greek meal in town, visit Psaras Fish Tavern located at the top of the Plaka area. The white fish is served on a platter dressed with lemon and oregano. One of the best meals I’ve ever had!